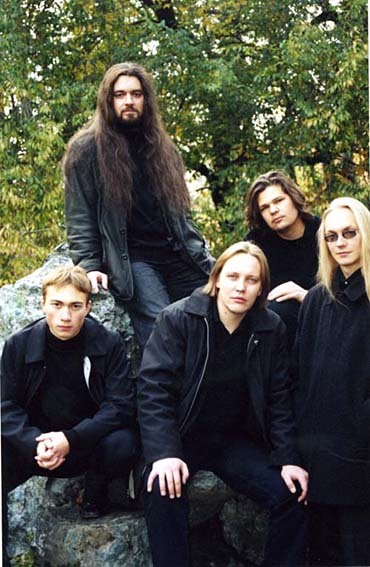 The idea of ARCANAR creation is belongs to former members of Ekaterinburg bands AUTUMN and SEKVENTIA. As a result of long search the line-up has become as: Roman Ilyin (guitar) and Felix Vigorov (bass) from AUTUMN and Alexander Zernov (keyboard) and Andrew Agapitov (guitar) from SEKVENTIA. The 1-st of March 2004 was the day when drummer Dmitry Osadchev has joined ot band and could be named as band`s official birthday. The band worked out it`s musical material more than a year and it has incarnated in debut album «Dusty Lord». The musicians prefer do not define their music style and give this opportunity to listeners in full measure because the influences of doom, death, black, jazz-metal etc. could be found in equal extent. The album includes nine tracks, between of them are two acoustic guitar etudes, one instrumental track and keyboard intro. The album was recorded since June til August 2005 at Elixirmusic Studio (www.elixirmusic.com). CD booklet and layout were made by W.Smerdulak (www.smerdulak.com). At present time the band works on new material.